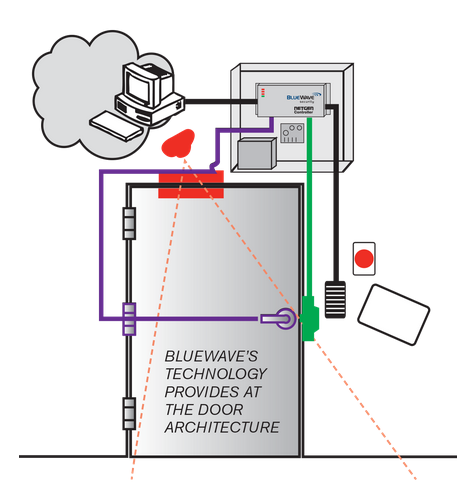 Need help with specifying common BlueWave door systems? Click to view all BlueWave Webinars! The NETGEN Controllers communicate with all BlueView management software versions in real-time over wired Ethernet networks. The NetGen door controllers support industry standard Wiegand credential readers and 12 or 24 volt locking devices. Customers with existing Wiegand readers and other door electronics can leverage their investment and reduce costs by using NetGen controllers to upgrade legacy systems. controllers. The software provides many features including; door discovery with integrated device installer and database, configuration wizard and various modules for active directory, video, import card utility and command notifications. BlueWave Security offers a selection of proximity and keypad readers that use industry standard credential cards (prox, fob, photo ID) and fully integrate with NetGen controllers and all BlueView software versions. BluePass readers utilize Bluetooth smartphone technologies. As a result, the smartphone becomes the access credential. For a fully-secure access control system at the door, BlueWave Security provides commercial grade, non-proprietary locking hardware necessary to complete required specifications. Whether an exit device, door strike, magnetic or cylindrical lock is specified; BlueWave Security can provide these and all associated housings, brackets and accessory components. BlueWave Security offers a selection of request to exit (REX) commercial grade devices in push button, switch and sensor options. Many security codes and standards require REX components to be installed as part of an access control system. To complete the NetGen controlled access control system, credential cards (prox, fob, photo ID) are required, except for the BluePass reader. Some projects require accessories that are not included with the locking devices or credential readers. 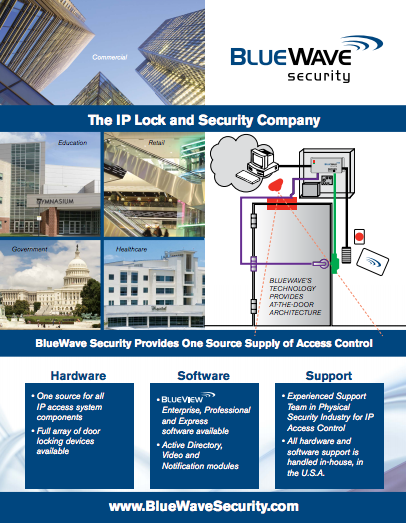 BlueWave Security provides these components and accessories. 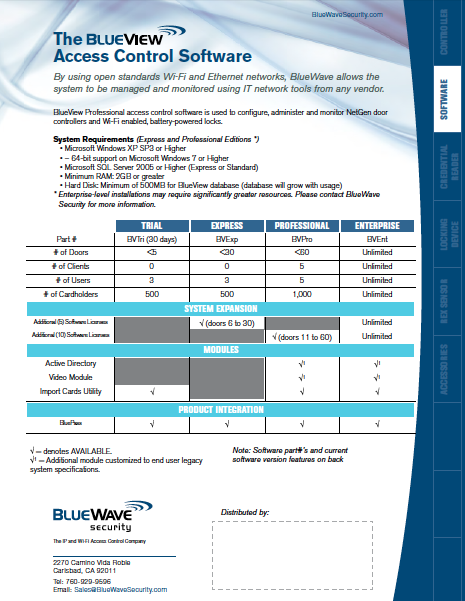 To learn more about BlueWave technology, contact us today with the above form. Click here for training webinars.